I guess I need to preface this by saying that I am currently in the middle of a small coffee addiction. I am by no means a person that is likely to commit murder unless I am hooked to a caffeine drip, but I have noticed that my 2 a day habit has sneakily become 3. My last two blog pieces about “Confessions of a Girl Addicted to Being Busy Part I & II” saw me make some really positive changes that I can whole heartedly say are still part of my daily routine. Meditation, putting my phone on flight mode after 9pm and reading for enjoyment have all become very welcomed strategies in aiming to reduce my stress. Along my stress reduction journey, I made time to read more. 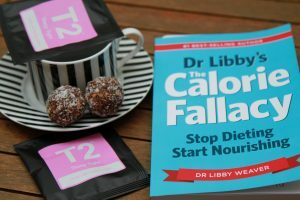 This is how I stumbled upon Dr Libby Weaver and her fantastic book ‘The Calorie Fallacy: Stop Dieting Start Nourishing.’ As I began reading the book I was so pleasantly surprised that Dr Libby takes a refreshingly holistic approach to women’s wellness. I am not going to go through all the amazing knowledge that she has so lovingly compiled into what I believe is a must read for all women. But, what did cause me to have an “ah ha” moment was that caffeine is the fastest way to speed up our Sympathetic Nervous System or fight or flight response. If we are in a fight or flight response situation or have our SNS activated we are producing stress hormones. So what does this mean? It means that our bodies will not burn fat as a source of fuel. By consuming too much caffeine we have pushed ourselves into SNS dominance meaning that both fat burning and a sense of calm may be just out of reach. Caffeine could be leading you to feel snappy, impatient, sad and withdrawn. I know that I may have exhibited some of this behaviour. Yes I feel somewhat silly now, thinking that it could have been avoided. First of all you will need a handy little tea flask. I found a perfectly sized bottle by More Tea. 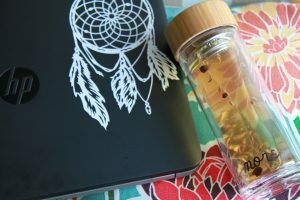 The freedom bottle is a beautifully designed double walled tea bottle made from glass that has its own built-in strainer. The double walled feature stops you from burning your fingers. 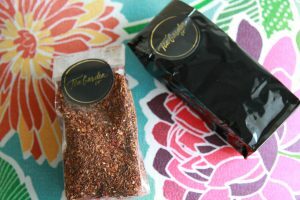 The tea remains at a warm and drinkable temperature for up to an hour. 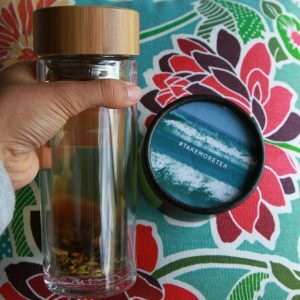 It also has an eco-friendly bamboo lid I love carrying mine with me everywhere I go. So raise you tea cup to reduced coffee consumption. 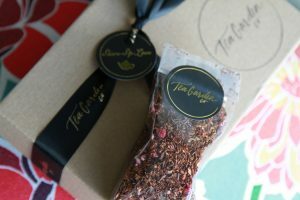 Don’t forget to share with me how you enjoy your tea. © Hollie Kempton and Powered By Vegies, 2016. Unauthorized use and/or duplication of this material without express and written permission from this site’s author and/or owner is strictly prohibited. Excerpts and links may be used, provided that full and clear credit is given to Hollie’s Powered By Vegies with appropriate and specific direction to the original content.